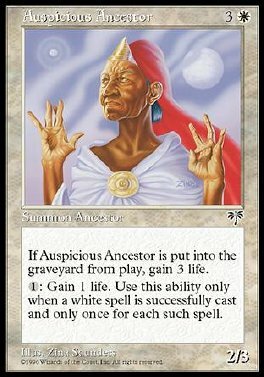 When Auspicious Ancestor is put into a graveyard from play, you gain 3 life. Whenever a player plays a white spell, you may pay 1. If you do, you gain 1 life.